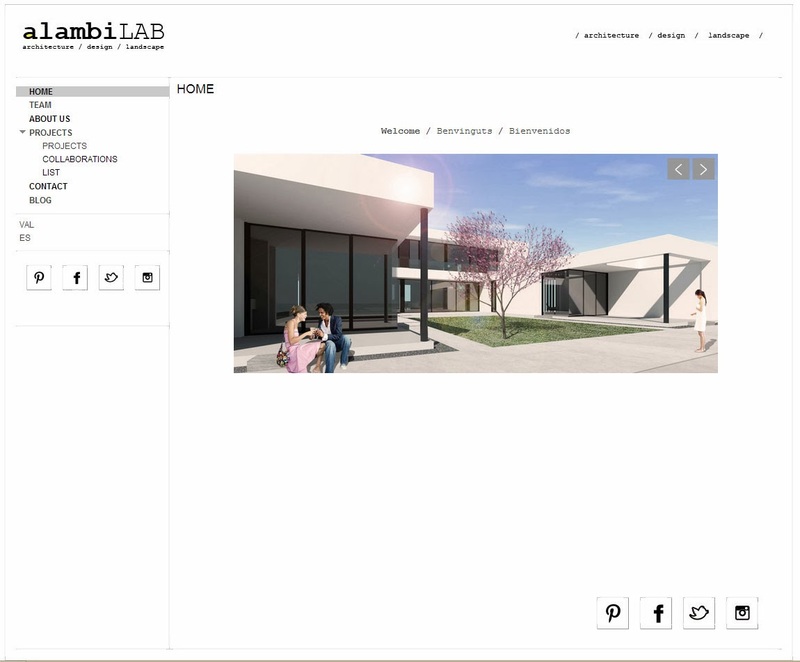 alambiLAB: AlambiLAB architects website is now launched! AlambiLAB architects website is now launched! With this post we would like to invite you all to visit our new website www.en.alambilab.com. AlambiLAB architects has been working hard these last weeks in order to launch the website on the 25th February to celebrate Enric Miralles birthday. We have created the website in three languages (English, Spanish and Catalan) so we can communicate with all of you. We hope to be adding new projects soon! And we wish you will enjoy browsing through it! You can click Our Website in the bar above and you will be directed to it. We always welcome suggestions and comments to help us improve.